One of the leading Irish dramatists of his era, Brian Friel is noted for his deft use of language, his sensitive characterizations, and his interest in Irish life and history. in his plays, Ireland not only provides the canvas upon which his largely rural characters are portrayed, but it also acts as a character itself. Friel is a central figure in the resurgence of interest in Irish drama that took place on both sides of the Atlantic in the 1980s and 1990s. He follows in the tradition of W. B. Yeats, John Millington Synge, Sean O’Casey, and other Irish artists of the early twentieth century. He has achieved commercial and critical success with works that address pressing social concerns. The Strong Influence of School. Friel was born Bernard Patrick Friel on January 9, 1929, outside of Omagh, County Tyrone, in Northern Ireland. His father was a primary-school principal, and his mother was a postmistress from Glenties in County Donegal. When Friel was ten, his family moved to Londonderry. After completing his secondary education, Friel went to the seminary at St. Patrick’s College. He graduated in 1948, but instead of entering the priesthood, he attended St. Joseph’s Teacher Training College in Belfast. He then returned to the Derry area and spent the next ten years teaching in various schools. The figure of the schoolmaster is present in many of his stories and plays. The Irish Civil War and Continuing Troubles. In the years before and after Friel’s birth, the people of Ireland were embroiled in a divisive conflict over the country’s fate as either a dominion of Great Britain or as an independent nation. According to a treaty signed in 1921, Ireland was established as a free state that would remain a part of the United Kingdom. Opponents of the treaty included many members of the Irish Republican Army (IRA), who had long fought to establish Ireland’s complete independence from England. These republicans argued that remaining a part of the United Kingdom would deny them the complete freedom and independence they sought for their country—especially since the treaty specifically required Irish citizens to pledge an oath of allegiance to the reigning British monarch. The bloody conflict between republicans and free-state supporters lasted less than a year, but resulted in the death of thousands, including both soldiers and civilians caught in the action. The republicans lost the battle, though the cause of complete independence remained the focus of the IRA in the decades following the war. The cities of Belfast and Londonderry—referred to simply as ‘‘Derry’’ by republicans—which feature prominently in Friel’s life, were among the areas most affected by the ongoing strife. Teacher and Storywriter. During his years as a schoolteacher, Friel wrote short stories. Because Friel was born into the Catholic minority in Northern Ireland, the violence and alienation of the Northern Irish is never far beneath the surface of his stories. His first published story, ‘‘The Child’’ (1952), described the disappointment of a child who hopes and prays, in vain, that his parents will stop fighting. Already present in this story is a central Friel theme: the division between hope and reality. In 1954 he married Ann Morrison, with whom he fathered five children. He was active in the Irish civil rights movement of the time as a member of the Nationalist Party, which supported Irish independence from England; however, the ‘‘troubles’’ and sectarian politics that are so dominant in Irish history are largely absent from his writing. Friel found early success with his short fiction, broadcasting numerous stories on BBC Radio starting in 1956. He began publishing stories steadily in the New Yorker magazine. In addition to his stories, he worked as a freelance journalist, submitting articles to Commonweal and the Irish Press. In 1960 Friel ended his teaching career and began writing full-time. Shift to Drama. Friel’s first story collection, The Saucer of Larks, was published in 1962. By this time, he was also writing stage plays, some of which were produced at Dublin’s famous Abbey Theatre, seat of the Irish dramaturgical tradition ofYeats, O’Casey and others. In 1963, to increase his knowledge of the working theater, Friel accepted an invitation from the noted Anglo-Irish director Tyrone Guthrie to visit him in Minneapolis, at the theater that bears Guthrie’s name. The four months Friel spent observing Guthrie direct Hamlet and Anton Chekhov’s Three Sisters initiated his shift from short fiction to drama. Transatlantic Productions. In 1964 Friel completed the play that was to be his first commercial success and that would secure his international reputation: Philadelphia, Here I Come! The play is about Gareth O’Donnell, who departs from Ireland to the promise of a new life in Philadelphia. The story delves into the inner state of the immigrant through an unconventional device: Gareth is split into his public and private selves, played by two actors. The drama enjoyed a successful run in its author’s native Northern Ireland and in London, then played at New York’s Helen Hayes Theatre for 326 performances, the longest run for an Irish play on Broadway. The American theater community gave Friel such a warm reception that his next play, The Loves of Cass McGuire (1966), was staged in New York before its production in Dublin. In that play, an eighty-nine-year- old Irish woman returns home after thirty-four years in America, only to be relegated to a rest home by her brother and his wife. A steady stream of dramatic works followed over the next fifteen years, each produced on one or both sides of the Atlantic. Friel increased his standing with two stage successes in 1979. Faith Healer consists of four monologues, by characters living and dead, attempting to sort out the life of Frank Hardy, who is either a miracle worker or a charlatan. The play opened on Broadway while Friel’s Aristocrats (1979) was running at the Abbey in Dublin. The latter play concerns a family of Irish Catholic gentry in decline whose inner workings are exposed as friends, family, and outsiders gather to witness the wedding of the family’s youngest daughter. Critics drew numerous comparisons to the stage works of Anton Chekhov, and indeed, Friel wrote Aristocrats while working on a translation of Chekhov’s Three Sisters. Critical Successes. In 1980 Friel and actor Stephen Rea formed the Field Day, a theater company dedicated to bringing professional theater to communities throughout Ireland. Friel’s play Translations (1980), the Field Day’s first production, obliquely addresses the struggle in Northern Ireland by depicting the collision between the English and the Irish in 1833, when the English succeeded in closing Gaelic schools despite native resistance. Translations explores the nature of language and reveals its political exploitation as a colonizing tool; many consider it Friel’s best play. Friel’s greatest commercial success as a playwright came with Dancing at Lughnasa (1990), another metaphorically suggestive play with complex characterizations and relationships. It is a portrait of a woman-run household where five spinster sisters dance and sing when a radio arrives. The title of the play refers to a harvest festival honoring the ancient pagan god Lugh, a tribute to celebrating the past with the present. Dancing at Lughnasa won the British Olivier Award and American Tony Award for best play of the year and was adapted into a motion picture in 1998 starring Meryl Streep. Derek Walcott (1930-): West Indian playwright and poet; winner of the 1992 Nobel Prize in Literature. Chinua Achebe (1930-): Nigerian novelist and poet; author of Things Fall Apart. Frank McCourt (1930-): Irish American author of Angela's Ashes. Athol Fugard (1932-): South African playwright and stage director. Seamus Heaney (1939-): Irish poet; winner of the 1995 Nobel Prize in Literature. Mary Robinson (1944-): President of Ireland, 19901997; United Nations high commissioner for human rights, 1997-2002. Friel’s plays are frequently compared with those of Chekhov, and, indeed, their underlying sense of pathos and futility, and their reliance on subtle, subtextual clues to convey character and message, draw upon the influence of the Russian master. Friel’s short stories, however, are more distinctly Irish in derivation. Friel has expressed his indebtedness to Sean O’Faolain on many occasions; critics also see Friel’s style as influenced by, or even derivative of, Frank O’Connor and Liam O’Flaherty. The short fiction of John Updike and V. S. Pritchett has also won Friel’s admiration. Ballybeg. In both his stories and his plays, Friel has created his own fictional landscape, which he called Bal- lybeg, or, literally, ‘‘small town’’ (from the Irish Baile Beag). All of the area is part of the historical province of Ulster, in what today is County Donegal. The locale functions as a microcosm of Ireland, a canvas on which to paint Irish concerns, social norms, and characters seemingly indifferent to the island’s political divisions. Irish Characters. None of Friel’s stories has an urban setting, and they are peopled entirely by characters who maintain a slightly naive understanding of the world. No one is particularly evil, and deceptions and lies are perpetrated against the self, toward sustaining illusion, rather than against others. Throughout his work, Friel handles his characters with affection and compassion, reflecting an extraordinary sensitivity to human nature. Outwardly simple, the characters are inwardly complex, and the emotional battle of each is kept free of sentimentality by Friel’s skillful use of language. The combination of intelligence and emotion in Friel’s characters succeeds in conveying a strong sense of the inadequacies of human nature while affirming the continuum of life. Friel’s writing has been acclaimed for more than four decades. He had already earned a place among Ireland’s top writers of short fiction, and a prestigious American outlet for his stories, when he turned to playwriting in the early 1960s. His plays have been warmly received and consistently produced. He is undoubtedly a leading figure in the revival of Irish drama in the last decades of the twentieth century. Mixed Evaluations. Critical appraisal of his work has not been uniformly appreciative. Friel is not considered a master of the short-story form; the consensus among critics is that all of his stories tend toward sameness in idea and execution. Friel has also defended himself against the charge that his stories are compromised by adherence to a formula suited to the New Yorker and to a foreign audience seeking a sentimental, idealized sense of Irishness. As a dramatist, critics perceive that Friel’s mastery of character and fondness for storytelling outstrip his dramatic flair, depriving his plays of a sense of dynamism. Some critics find the overall scope of his work limited by its Irish milieu. Others, conversely, applaud his commitment to dramatizing the Irish national character and dilemma. Critical studies of Friel’s work appear in ever increasing numbers. Most focus almost exclusively on his dramatic works, viewing his short fiction only as a prelude to themes and ideas in the later dramas. 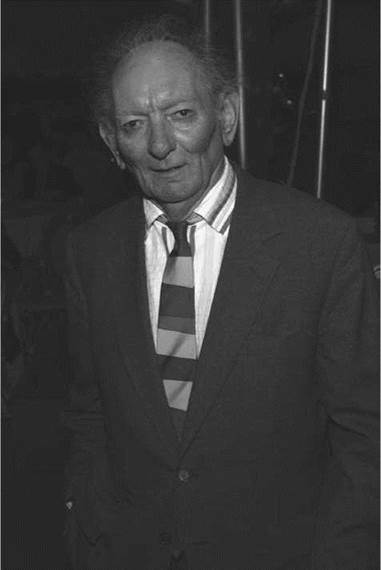 A few critics, such as John Cronin in his contribution to the 1993 volume The Achievement of Brian Friel, analyze his stories for their own sake. Some recent studies, such as Scott Boltwood’s Brian Friel, Ireland, and the North, delve into the relationship between the personal and the political in Friel’s plays. Other commentators view language and its uses as a central Friel theme, an element that critics identify as common to the Irish dramatic tradition, from Oscar Wilde through W. B. Yeats to Samuel Beckett. 1. Explore the theme of language in one or more of Friel’s plays; for example Translations. 2. Does it make sense to think of Friel as simply an Irish writer? How does he relate the specifics of the Irish experience to universal human concerns? 3. Would you call Friel a political writer? How do his stories and plays address controversial issues in subtle or indirect ways? 4. Most of Friel’s stories take place in the fictional village of Ballybeg. What function does this community play in his work? Andrews, Elmer. The Art of Brian Friel: Neither Reality nor Dreams. New York: St. Martin’s, 1995. McGrath, F. C. Brian Friel’s (Post)Colonial Drama. Syracuse, N.Y.: Syracuse University Press, 1999. O’Brien, George. Brian Friel. Boston: Twayne, 1990. Peacock, Alan J., ed. The Achievement of Brian Friel. Lanham, Md. : Barnes & Noble, 1992. Pine, Richard. Brian Friel and Ireland’s Drama. London: Routledge, 1990.